If you have suffered a workplace injury or have been a victim of negligence, we know that your medical bills are probably climbing. Our Rochester, New York, team at The Stanley Law Offices, L.L.P., is dedicated to helping you recover compensation following these types of accidents. The first step is contacting us to set up a free consultation, so we can discuss the details of your case. Once we have had the chance to get to know your situation, the team at our law offices will start developing a legal strategy that targets your goals. Our attorneys have 90 years of combined experience representing clients through matters such as motor vehicle accidents, medical malpractice, Social Security Disability claims, nursing home negligence and premises liability. We use creative tactics and our knowledge of the law to hold negligent parties accountable for your damages. In addition to receiving aggressive representation, you can rest assured that you are working with a staff that cares. The client-centered approach we employ translates to a trusted attorney-client relationship that has time and again proven to work. We have had numerous successes throughout the state of New York, including Syracuse, Watertown, Binghamton and Central New York. 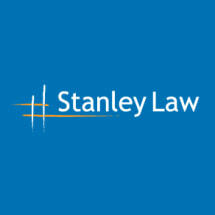 Our team at The Stanley Law Offices, L.L.P., also represents clients in Montrose and Northeast Pennsylvania.